Romain Rolland, French Writer, Nobel Prize in Literature, 1915. Here comes Aurobindo, the most complete synthesis realized to this day of the genius of Asia and the genius of Europe. Gabriela Mistral, Chilean Educationist and Writer, Nobel Prize in literature, 1945. 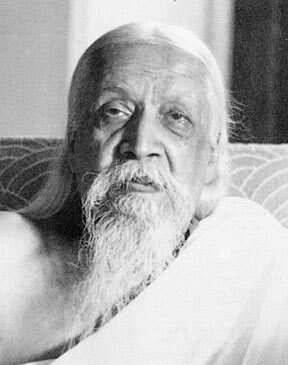 Sri Aurobindo, the Master, the highest of mystics, happily presents the rare phenomenon of an exposition clear as a beautiful diamond, without the danger of confounding the layman. This is possible because Sri Aurobindo is a unique synthesis of a scholar, theologian and one who is enlightened..."
Of all modern Indian writers Aurobindo -successively poet, critic, scholar, thinker, nationalist, humanist -is the most significant and perhaps the most interesting... In fact, he is a new type of thinker, one who combines in his vision the alacrity of the West with the illumination of the East. To study his writings is to enlarge the boundaries of one's knowledge... He is a yogi who writes as though he were standing among the stars, with the constellations for his companions. Sri Aurobindo is no visionary. He has always acted his dreams... So from individual self-discipline he has gone to the life of humanity. `The Psychology of Social Development,' `Ideals and Progress' and `The Ideal of Human Unity' should be carefully considered by all those who are busy preparing blue-prints for the future..
Pithrim Sorokin, Russian Sociologist, Sri Aurobindo's `The Life Divine' and Yoga treatises are among the most important works of our times in philosophy, ethics and humanities. Sri Aurobindo himself is one of the greatest living sages of our time, the most eminent moral leader."